Claims that the Syrian government has all but won its long war against US-backed Islamist insurgents, now in its eighth year, and that all that remains for Syrian forces is a mopping up operation, are far too sanguine. The United States is not prepared to allow the Syrian government, and its allies Russia, Iran and Hezbollah, a victory just yet. Indeed, with the United States military occupying nearly one-third of Syrian territory, and at the same time enforcing a de facto no-fly zone east of the Euphrates,  it’s difficult to accept the “Assad has won” narrative as anything but wishful thinking. 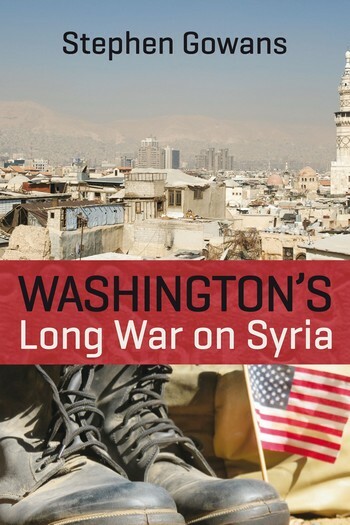 US policy vis-à-vis Syria has for decades envisaged an orderly transition in government, from Assad’s ideologically-inspired Arab nationalists to Sunni business people who are more interested in making money than in politics. The last thing Washington wants is the current government’s collapse and its replacement by a government led by ISIS, Al Qaeda or the Muslim Brotherhood. Accordingly, Washington has been careful not to tip the balance too far in favour of its Islamist insurgent allies. 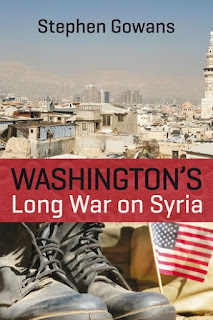 The prescribed role of Washington’s jihadist proxies is not to take over the reins of government, but to create a quagmire from which the Arab nationalists in Syria can never extract themselves.